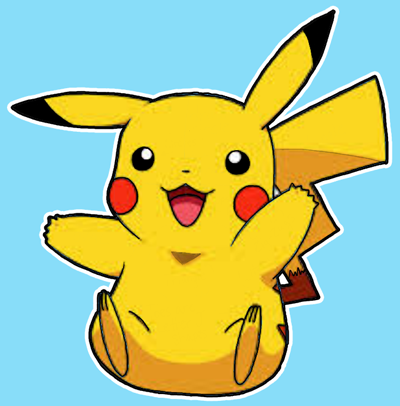 Pikachu is an Electric-type Pokemon and evolves from Pichu. He has a lot of moves but probably his best move is the thunderbolt. He is one of the favorite Pokemon of many children around the world so that is why I started with this tutorial today. 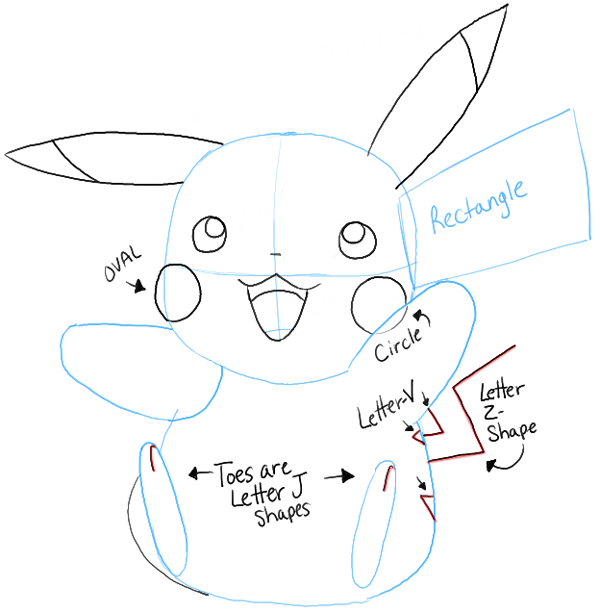 Today I will show you how to draw Pikachu sitting down and smiling really big. 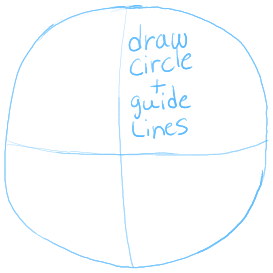 Lightly draw a circle and guidelines thru the center. – Draw an odd shaped oval for the body. 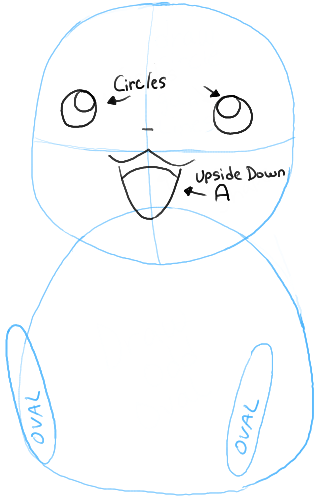 – Use guidelines to place the facial features. 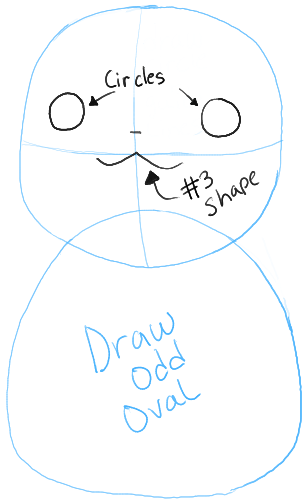 Draw circles for eyes and a sideways #3 shape for the mouth and a line for the nose. – Draw ovals for feet. – Draw circles inside the eyes. – Draw an upside down letter ‘A’-like shape for the bottom of the mouth and tongue. – Draw tall letter ‘A’-like shapes for ears. 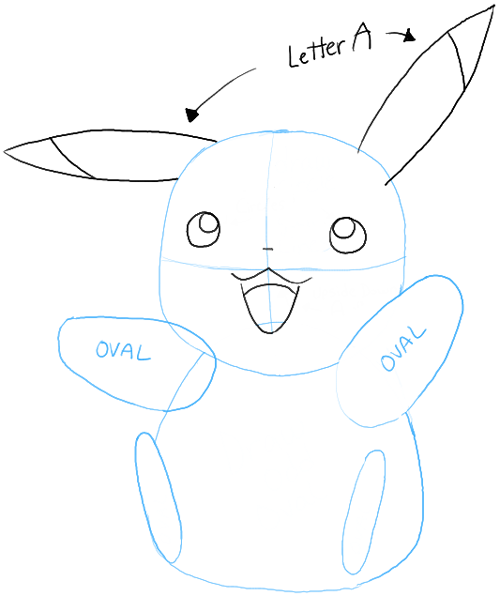 – Lightly draw ovals for arms. – Draw a backwards letter ‘z’ shape, a sideways letter ‘v’ shape, and a rectangle-shape for the tail. – Draw circles on the cheeks. – Draw letter ‘J’ shapes for toes. – Draw more letter ‘J’ shaped toes. – Finish up the tail. – Draw zig-zag shapes for nails/fingers. – Draw zig-zag shapes in the tail. – Draw curved lines for legs. – Draw the upside down triangle shape for the shadow on the chin. 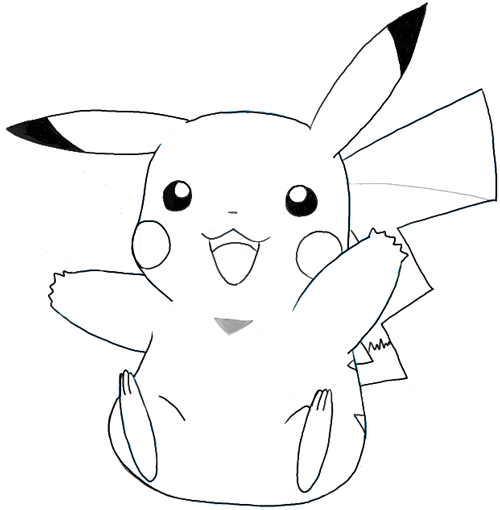 Here is the finished drawing of Pikachu. I hope that you enjoyed drawing him. 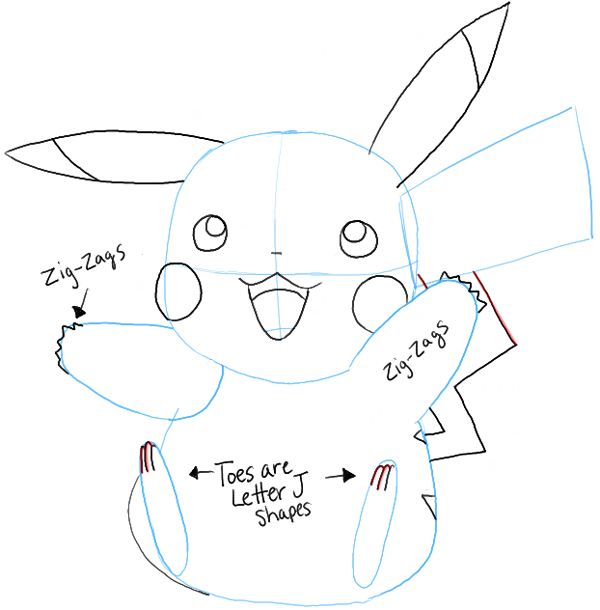 We should have more Pokemon tutorials soon…I hope this tutorial helped you learn how to draw little Pikachu. it was awesome……and pikachu is very cuteeeeee…………. why hello there! this a great guide for me and friends! 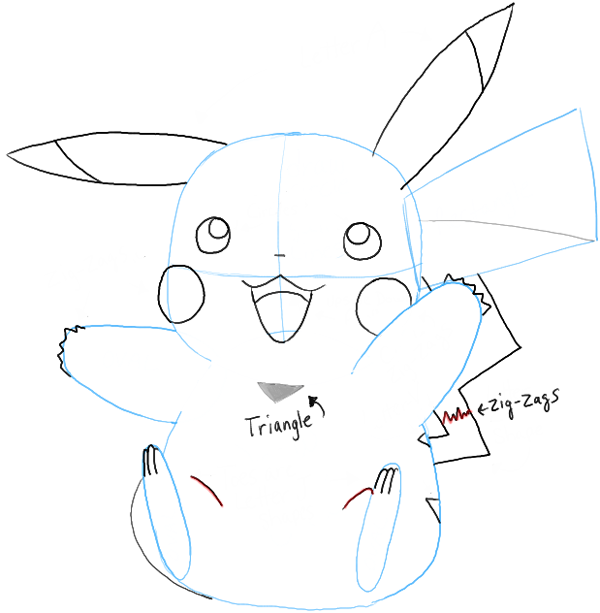 This article was written on 12 Jan 2014, and is filled under Manga TV Shows, Pokemon.